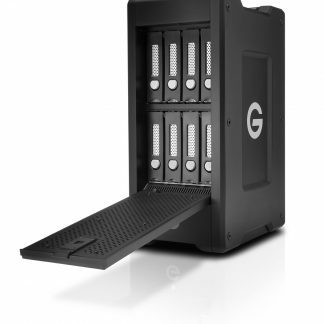 With a massive capacity, speeds of up to 2600MB/s, and the ability to set either RAID 5 or 6, the LaCie 12big Thunderbolt3 lets you rein in the stampede of data from 4/5/6K cameras. All this in a stylish, small footprint design. 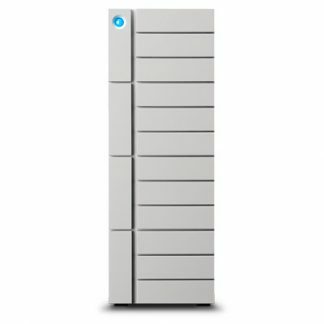 LaCie 12big Thunderbolt 3, what is it? 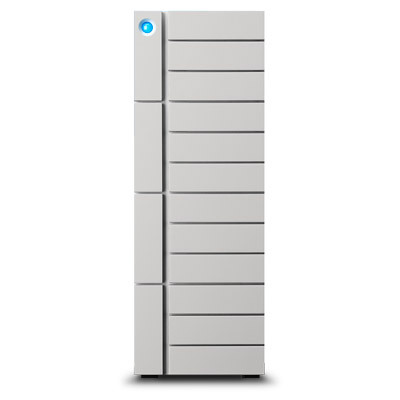 A 12 bay storage array with RAID 5/6 capability. 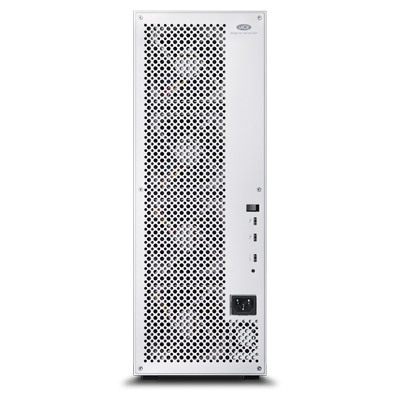 The LaCie 12big Thunderbolt 3 is lightning quick and versatile. Thunderbolt 3 lets you daisy chain dual 4K displays or a single 5K display to the LaCie 12big. With two 4K displays, you can spread out your workspace by dedicating one display to your timeline and the other to previewing 4K footage, for example. It’s even possible to power a compatible laptop through the Thunderbolt 3 connection. Top Feature! 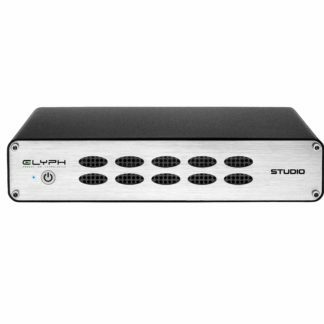 The huge advantage of this drive is that it ALSO includes a USB-C port so it can be used over USB 3.1 and also USB 3.0 and 2.0 using the included cable. 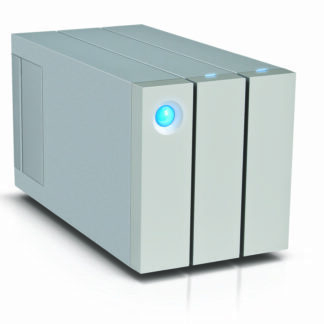 Creative professions looking for larger, safe storage solutions with the super fastest speeds. 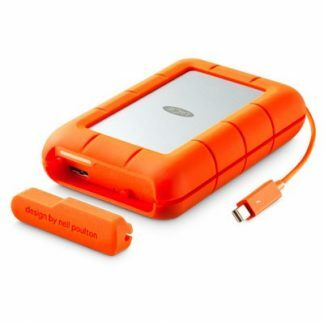 PC and Mac compatible computers with a USB-C or Thunderbolt 3 port. 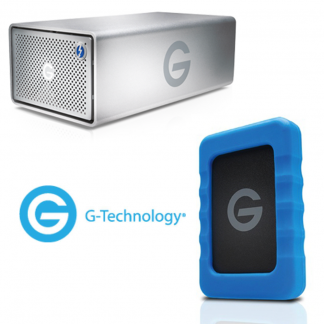 Also compatible over Thunderbolt & Thunderbolt 2 using an adaptor sold separately. 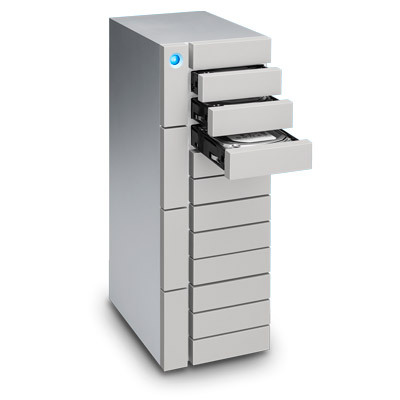 The LaCie 12big Thunderbolt 3 has a 5 year limited warranty that includes Rescue Data Recovery Services (find out more about LaCie’s Data Recovery service here).